The lines to see Bush's casket in the Capitol Rotunda were long. 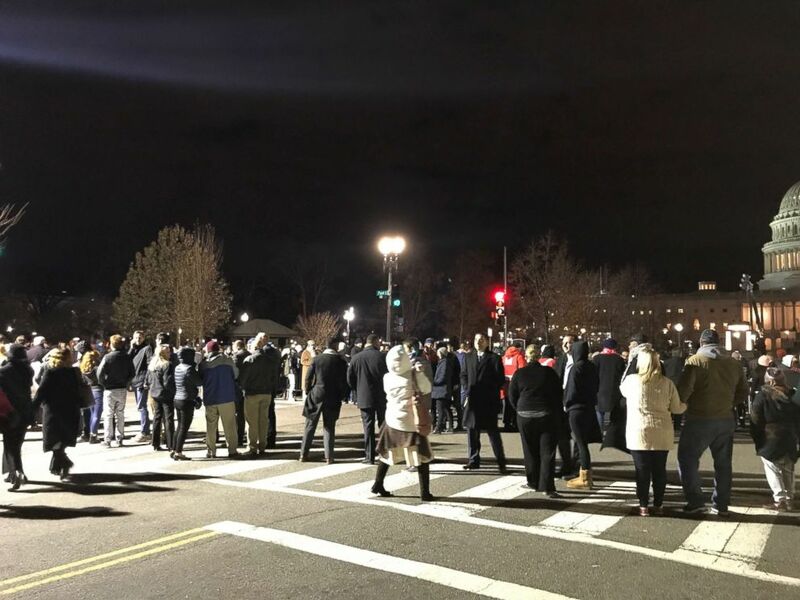 A lack of sleep didn't stop the thousands of people from lining up overnight to pay their respects to the late President George H.W. Bush at the Capitol Rotunda. Bush has lied in state since Monday evening. On Tuesday, he was visited by family, including former President George W. Bush and first lady Laura Bush, former Florida Gov. Jeb Bush and old rivals, like Bob Dole, who was helped out of his wheelchair to salute the World War II veteran. But the lion's share of the visitors were everyday Americans -- and they came out by the thousands. Some waited three or four hours or more. 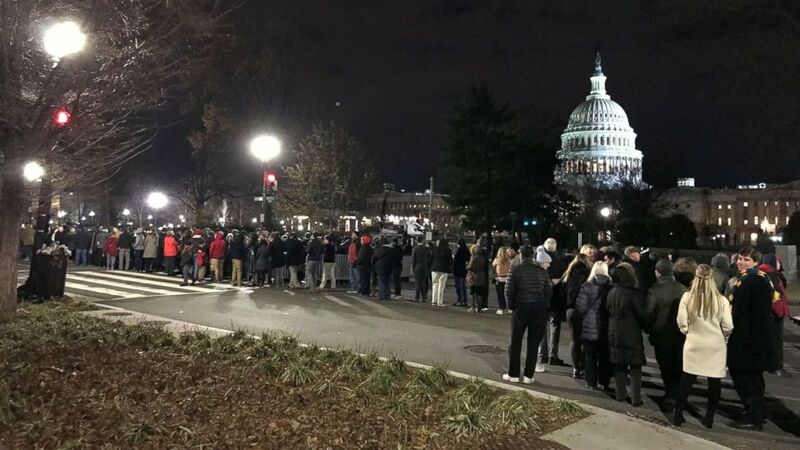 (Kenneth Moton/ABC News) Thousands remained lined up at 12:30 a.m. in 35-degree weather to see President George H.W. 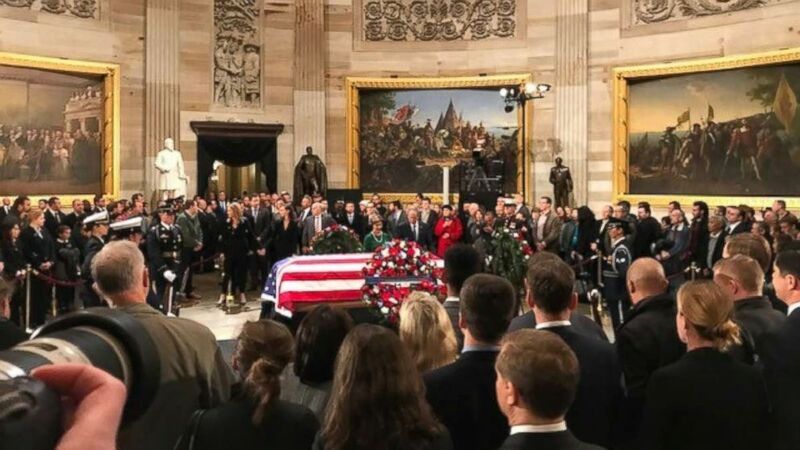 Bush lie in state in the Capitol Rotunda on Wednesday, Dec. 5, 2018. (John Parkinson/ABC News) Former President George W. Bush and first lady Laura Bush stand in front of his father's casket as thousands of onlookers gather in the Capitol Rotunda on Tuesday, Dec. 4, 2018. People streamed into the rotunda all night. The line was still thousands of people deep well after midnight. By the time it started to thin around 6 a.m., 42,000 people had paid their respects, according to a U.S. Capitol Police source. The viewing was open until 7 a.m. Wednesday and the casket will be taken to the National Cathedral starting at 10 a.m. Earlier Tuesday, an official in charge of counting the number of visitors said he did not know how many had visited. His counter only went up to 9,999 -- and then he relayed the total to a supervisor and began his count again. "I want to show my son. I want to show what true good leaders are. So that he can incorporate things like that into his life," Sherry Murray, a resident of Kent Island, Maryland, told Washington ABC affiliate WJLA. 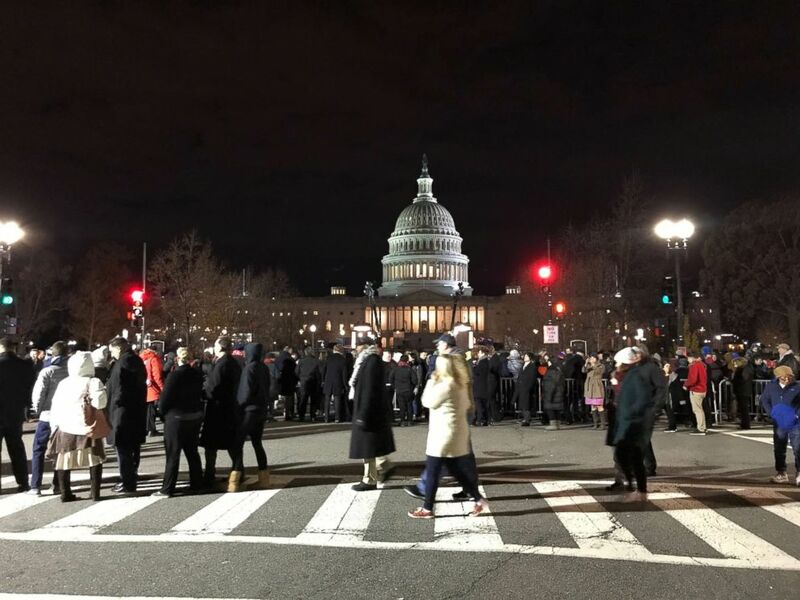 "We are so divided now as a nation that it's good to have an opportunity to come together, even if it's for a funeral," Robert Green, a Washington, D.C., resident, told WJLA. Even children who were too young to live through the George W. Bush administration lined up to pay respects. "Well he was a very meaningful man to a lot of the U.S. and he was one of the better presidents, so I think that we should remember him," Gabe Theroux, 12, said. The children all answered with head nods and smiles when asked if they aspired to be like Bush. "Yes, one day," Nicholas Shanneman, 9, said. "It'd be nice to go down in history ... not so many people do it." Only 32 people -- 12 presidents -- have ever lain in state at the U.S. Capitol. The last president was Gerald Ford over the New Year's holiday in 2006-2007. President Abraham Lincoln was the first president to lie in state in 1865 following his assassination, but Secretary of State Henry Clay was the first to lie in state three years earlier. ABC News' Erica King, John Parkinson and Kenneth Moton contributed to this report.